Supervisors ordered Motorola to “eliminate the negative effects” of the market abuse but has not fined the company. Samsung Electronics sought SEP injunctions against Apple in various member states. After an EU investigation, Samsung agreed to a deal. Those commitments were adjusted and made legally binding by the regulator. Samsung will not seek SEP injunctions for five years in Europe for smartphones and tablets against licensees who sign up to a licensing framework that requires patent holders to commit to license their SEPs on fair, reasonable and non-discriminatory terms or FRAND terms. Any dispute over the FRAND terms will be settled by a court or another arbiter, if both sides agree. The courts will decide on appropriate royalty payments rather than the commission. The commission is concerned that SEP holders can use injunctions to force better terms for their patent licensing and restrict competition, which will ultimately hit consumers. Generally speaking, such injunctions prevent the product being sold. Motorola agreed to license their SEP on FRAND terms, and Apple had agreed a German court would set the rate. Motorola continued to use the injunction regardless, in order to force Apple into an anti-competitive settlement. Today’s action clarifies that it is anti-competitive to use SEP injunctions if a holder has committed to license the SEP on FRAND terms, and the licensee is willing to take a licence on such terms, he added. The Regional Court of Dusseldorf has requested a preliminary ruling from the European Court of Justice (ECJ) to clarify points of law arising from SEP-based litigation between Huawei and ZTE. 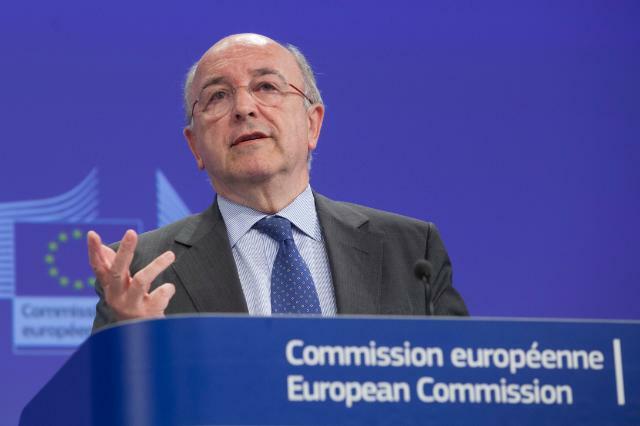 The commission said today’s decisions were intended as guidance for industry rather than as a guide for the ECJ ruling. It has provided judges with a paper outlining its views in the case. EURACTIV was unable to reach any of the telecoms companies for comment ahead of publication. April 2012: Apple complains to European Commission. May 2013: Commission sends Statement of Objections to Motorola. 29 April: Commission adopts decision that Motorola are breaching antitrust rules.